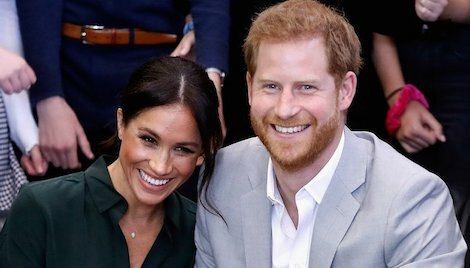 Another little bundle of joy is arriving into the Royal Family next spring, after Meghan Markle and Prince Harry announce that they are expecting. The Duke and Duchess of Sussex, who tied the knot earlier this year in May, are currently in Australia, for their first trip away as a married couple. It is believed that the baby will be seventh in line to the throne, following after the baby’s cousins, Prince George, Princess Charlotte and Prince Louis. However, the little one will not have the ‘prince’ or ‘princess’ title to their name. Instead, the baby’s official title will either be, Earl of Dumbarton, for a boy or Lady Mountbatten-Windsor, for a girl. Sounds very fancy to me. Ah, an overwhelming day of emotions for the Royals and their fans! We can’t wait for the little one to arrive! Are you excited for the Royal baby? What names do you think they have in mind? Let us know in the comments, or on Twitter at @WhatsTrending.